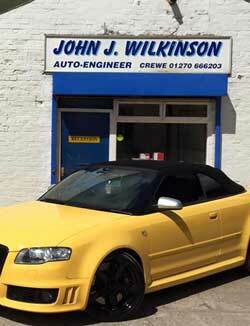 Wilkinson’s Powder Coating and Blasting service to the trade and general public. We specialise in alloy and steel wheel refurbishing, motor cycle / cycle and vehicle restoration projects. Also refurbishing of garden furniture and equipment, gates, railings, radiators, etc. At Wilkinson’s Powder Coating and Blasting Services you will find experienced and very helpful people ready to assist you with your powder coating or blasting enquiries. With over 16 years experience in powder coating and blasting our aim is to provide an unbeatable service to all our existing customers and a helpful and rewarding one to all our future customers. Our advertising comes direct from our customers, which is why you are so important to us here at Wilkinson’s. We are a family run business established for more than 30 years initially as an auto engineering repair business. Built on a fine reputation given to us by our customers. Our dedicated, helpful and reliable employees are here to assist you in anyway they can. We have a fully equipped workshop for all your motoring needs. MOT, Motorcycle MOT, MOT Repairs, Servicing, Welding, Tyres, Wheel Balancing etc. You will find all our staff polite, helpful and ready to assist you. We are very conveniently located just 10 minutes from junction 16 on the M6 and just 2 mins from the A500 link road. in a semi-rural location on the outskirts of Crewe.